The Meinl MB10 Crash Cymbal 16" is a 16" crash cymbal, made from B10 bronze, with a medium gauge, and brilliant finish. 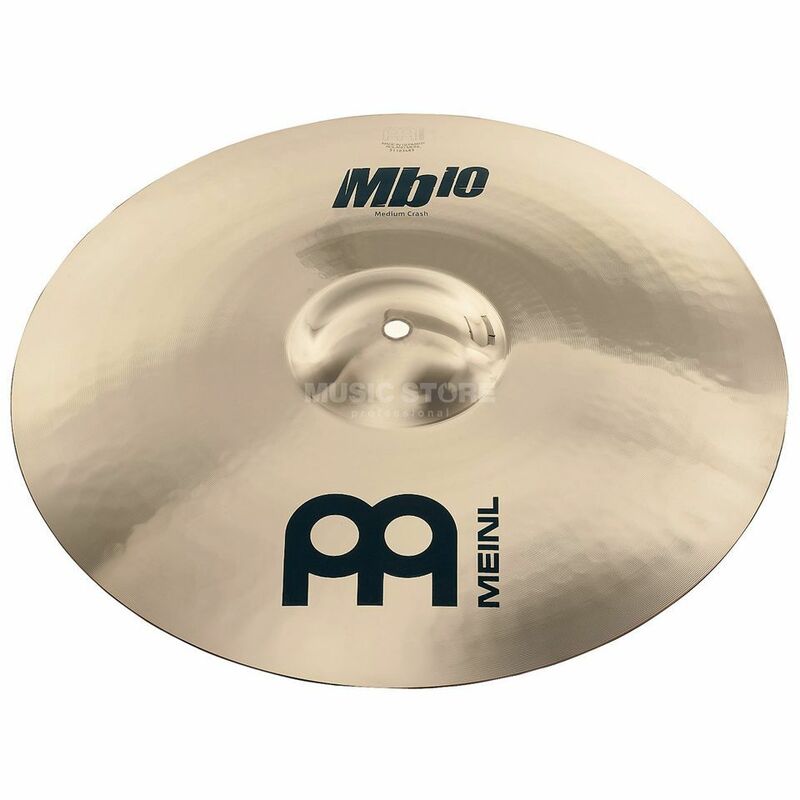 With its punchy response and bright, glassy tone, the MB10 is yet another innovation from the Meinl team. They introduced B10 bronze (90% copper, 10% tin) so that drummers would add another fresh sound to add to their set-up. Shaped by computerized hammering and buffed to a brilliant finish, the MB10 is extremely durable and responds with a glassy shimmer that cuts with aggression. This cymbal produces a bright, warm and well-balanced sound in a wide dynamic range. Featuring a full, even and soft responsive feel with an extensive spread this is a versatile, all-purpose classic rock crash. With the MB10 cymbal series, Meinl ensures fresh sounds that are especially well suited for popular music styles in rock and metal. The MB10 cymbals are crafted with a B10 Bronze, an alloy that can boast a powerful address with warm harmonies and well balanced frequencies.